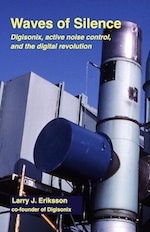 This book presents the unique story of Digisonix, its research partner, the University of Wisconsin-Madison, and their pioneering work on active sound and vibration control. An intrepreneurial start-up at a muffler company in the heart of the so-called rust belt, Digisonix was one of the first commercial users of the innovative Texas Instruments TMS32010 Digital Signal Processor that marked the beginning of the digital revolution. Today, active noise control technology reduces noise in headphones, fan ductwork, automobiles, and aircraft. Waves of Silence describes the excitement and challenges at Digisonix as it commercialized this interesting technology. Larry J. Eriksson served as vice-president of research at Nelson Industries for 25 years where he was also a co-founder, vice-president, and director of Digisonix. Author of many papers and patents on acoustics, signal processing, and active noise control, he received his B.S.E.E. from Northwestern University, his M.S.E.E. from the University of Minnesota, and his Ph.D. in electrical engineering from the University of Wisconsin-Madison. He is a Fellow of the Acoustical Society of America and the Society of Automotive Engineers. Reader responses: ”…a fun read...down to earth...real world feel... the story of an interesting, exciting time...enough technical explanation for the scientist while conveying the ups and downs of startup businesses..."
First Edition; 5½ x 8½; 240 pages; 2015.